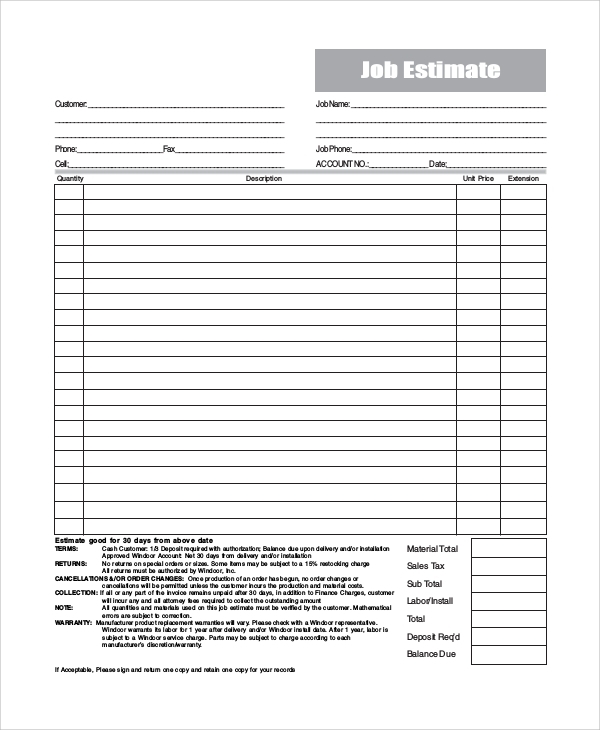 In business, an Estimate Form Template is of immense importance. Before a company gets into an agreement with the client on payment of money for some services or products, they need to calculate the estimated cost. These forms help them to organize the product details and prices in a systematic manner and enable them to give an estimated idea to the clients about the cost. 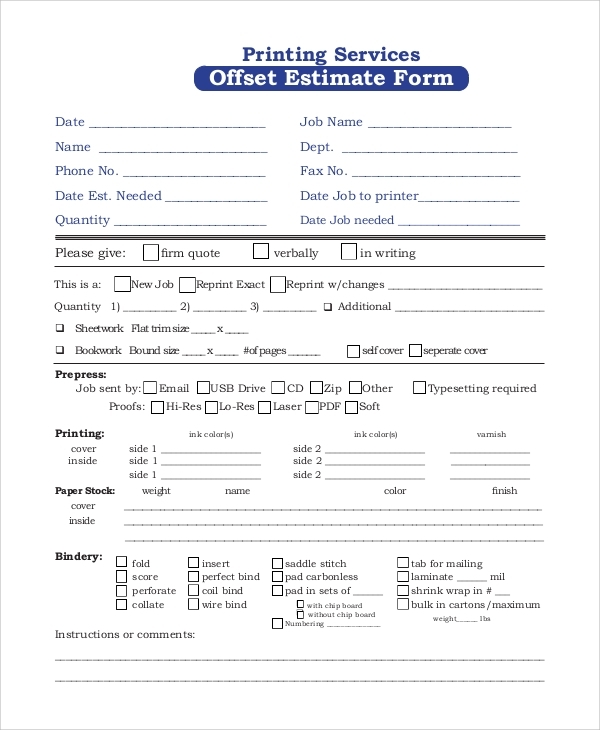 There are variations of these estimate forms and survey Form Samples, and here are the specimens of some commonly used templates. Here, the name, date, phone number and other personal details of the clients are mentioned at the top. Below this part, there is an area with the specifications and product details. 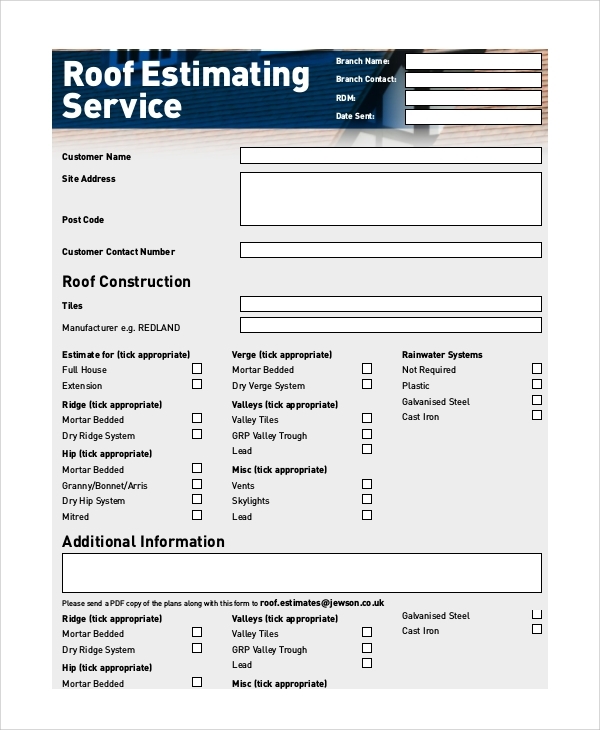 The name of the company is given at the top of the Service Estimate Samples. The client’s name is mentioned in the first editable area, followed by other specifications. The recommended particulars about roofing are mentioned below this part. These templates are commonly used by banks and other financial institutions. They contain information about the sum, rates of interest, period, and total refundable amount. It also includes the terms and conditions. When you think of the advantages of the estimate templates, you simply need to consider the ease of business that it brings. These documents help one to get a complete estimate of the costs that are to be incurred while availing a product or service. From the perspective of the buyer, it helps them to plan the purchase and arrange the money. 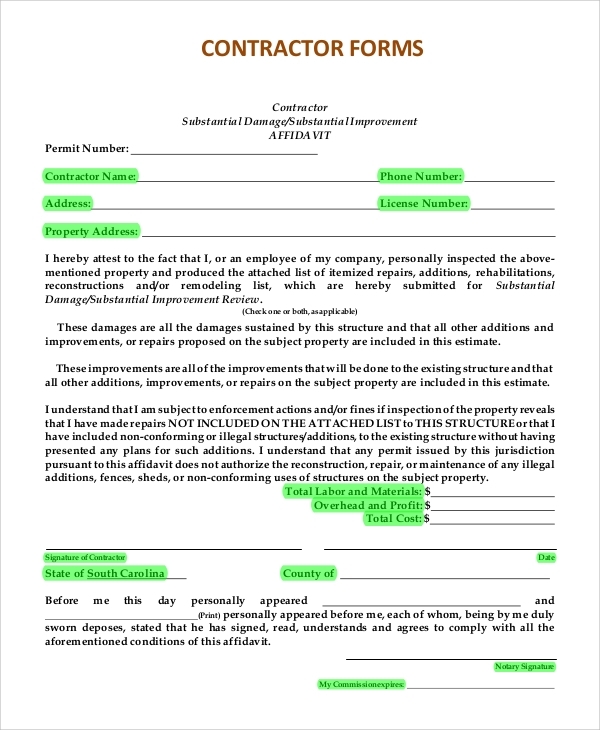 For the seller, these forms assist them to organize the business in a sophisticated manner. They can present the cost in a reasonable and planned manner. You can also see the Sample Repair Forms. 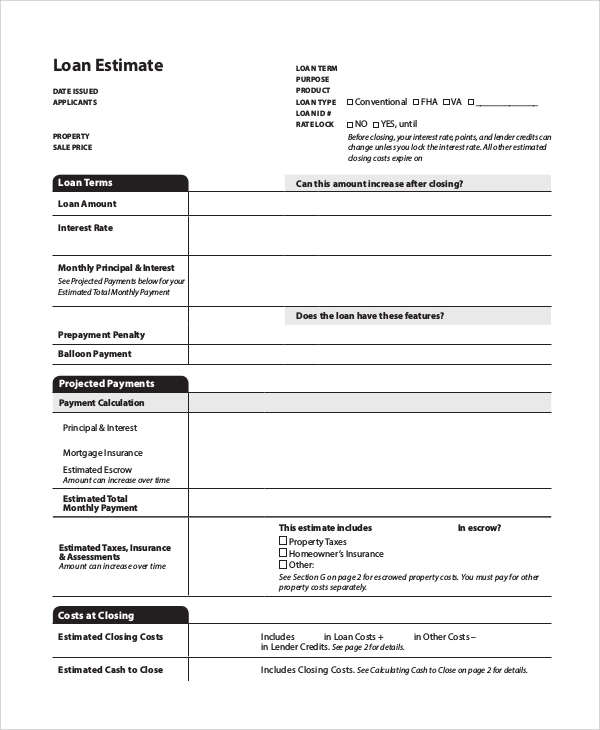 After an initial estimate is made, these forms are used to confirm the amount. The form includes information about the business form, client and also the terms of the transaction. 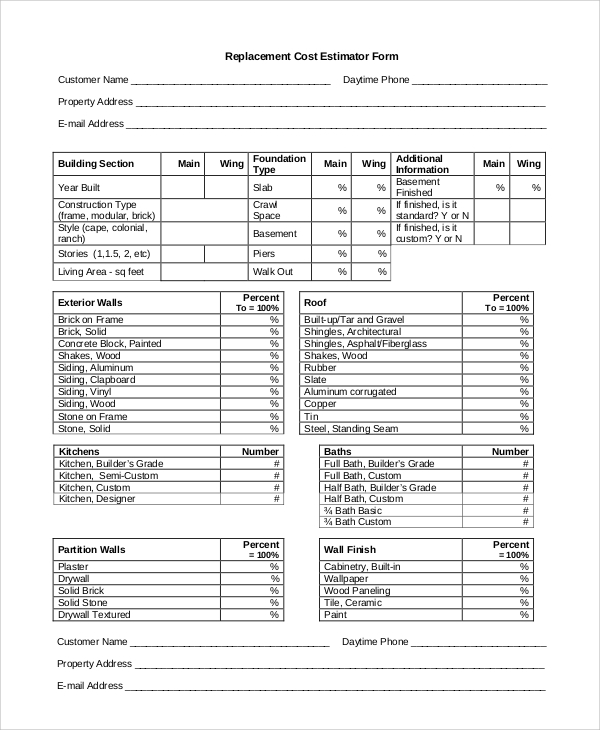 Construction estimate forms are complicated and contain information about different aspects like material cost, labor cost and so on. It also consists other charges like engineering and supervision, besides other details. You can also see the Sample Repair Forms. Various companies use quotation template to conduct business in an organized manner. 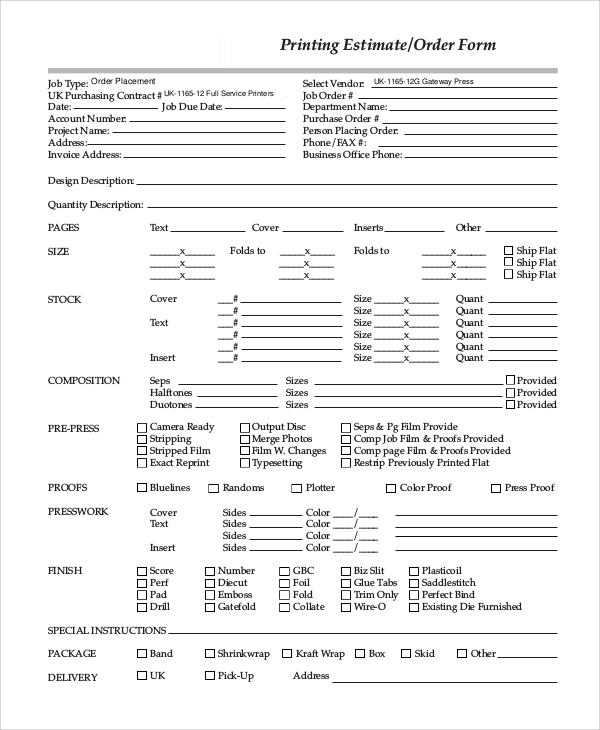 These forms justify the total price of the product or service. 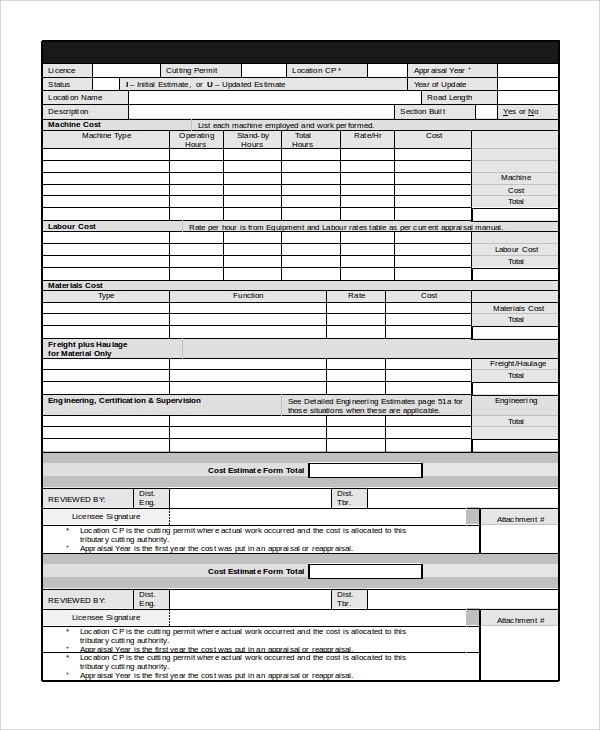 Well, banks and financial institutions often require these forms to give an idea of a scheme to the clients. You can also see the Sample Order Forms. They contain the estimated value of money when the amount matures. In cases of loans as well, they include the necessary details. Apart from this, all other business firms need to justify the total cost of the bill, so these templates are used by them frequently. What Information does an Estimate Sample Contain? 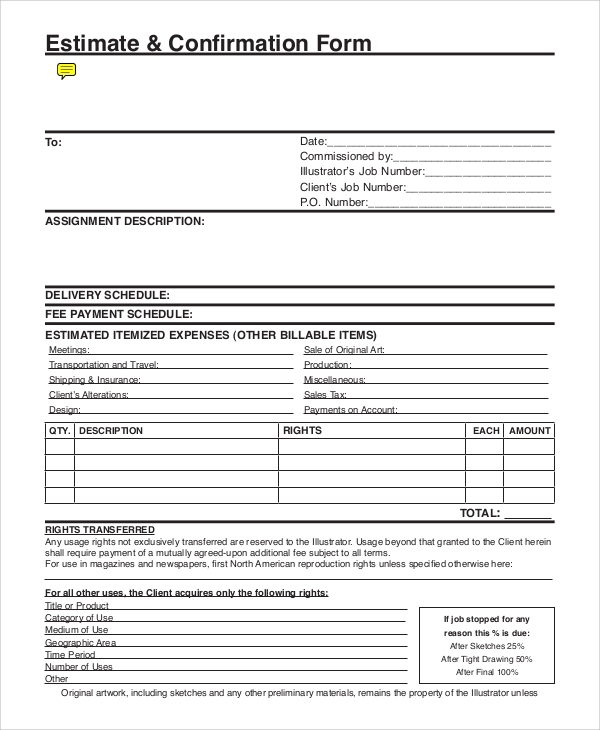 An estimate template is a contract proposal template that helps the client to make the decision while availing a particular commodity from a firm. The name of the company is mentioned at the top, sometimes in the form of watermarks. Next, comes the name of the client and the related personal details. After this, the forms contain the product descriptions and specifications. All the particulars about the product are mentioned here and then the amounts are inserted. Finally, they are added up to give an estimated cost to the clients. Since business firms differ in the products they deal with; the estimate forms also look marginally different from each other. When you require Sample Contact Forms or other estimate templates for your business, you can check out the website for various forms and opt for the one that you need.